Yesterday, Google launched a new website for Adwords advertisers to help them achieve their marketing goals. “Finally,” I thought, “an answer to my pleas!” Just last week, I showed where Facebook ads are beating Google – in helping advertisers achieve their objectives. I called Google to task for focusing more on the money. Hey, maybe they listened to me. But as I dug deeper, my disappointment grew. There is zero content on Google’s marketing goals site covering B2B advertising. I know Google hates B2B advertisers – I wrote about that last year. But I was hoping for one measly section on lead generation or something B2B-ish. No such luck. I’m not the only one who’s disappointed. How hard would it have been to include a lead generation section? It can’t be that Google doesn’t have something to offer – plenty of advertisers are successfully investing significant funds into lead generation ads. Could Google really be that lazy and short-sighted? And if so, does it open the door for someone else to sweep in and help B2B advertisers out? This is a huge opportunity for Bing to create content showing why Bing Ads is great for B2B advertisers. Like Meg said, many B2B advertisers get more bang for their buck from Bing. For one of our clients, cost per conversion on Bing is 1/4 that of Google for the same set of keywords. It’s a home run. In the end, does it matter that Google hates B2B advertisers? 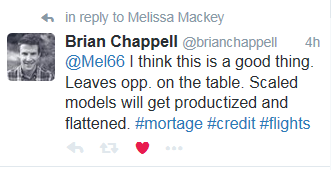 I see Brian’s point – giving everyone the same options leads to commoditization and same-ness in a game where it pays to be different. I still take pride in the fact that I was able to beat Amazon when I was doing in-house PPC back in the early days. Amazon was running cookie-cutter ads, even worse than the ones they run now, and we ate their lunch in our category by being different. 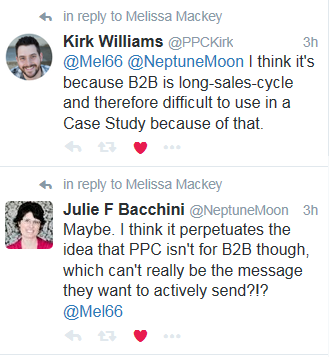 The problem, though, goes back to what Julie Bacchini said: Google’s leaving B2B out of the mix gives advertisers the idea that PPC won’t work for them. Just this week, I dealt with client questions around this very topic. I had pulled some information from Think with Google that was as close as I could get to B2B. The client said, “Isn’t there anything closer to our business?” I had to say no – and it caused them to question why they were doing PPC anyway, even though their PPC program is crushing every other marketing effort in terms of efficiency and lead generation. C’mon Google – help us out here! At least pretend you have a few B2B advertisers. What do you think? Does this latest move show that Google still hates B2B advertisers? Or is it a non-issue? Share in the comments! Pay per click advertising (PPC) is known for being highly targetable and trackable. And yet, with click costs continuing to rise, reaching the right audience in paid search and paid social is more important than ever – posing a challenge for many advertisers. For B2B advertisers using PPC for lead generation, it’s more important than ever to understand how to reach a B2B audience and meet lead generation goals at an acceptable cost. PPC for B2B lead generation poses different challenges from B2C ecommerce. In lead generation, nothing is sold online. Instead, advertisers are using PPC to drive leads, which will then be nurtured and ultimately passed on to salespeople for follow up. The time from lead to sale varies by industry, but can take as long as 6 months to a year. Reaching the right audience can also be a challenge. Searchers don’t self-identify as business decision makers looking for solutions. Many search queries are ambiguous, and could come from either a business or a consumer. For example, a search for “Windows software” could come from an individual looking to purchase Windows for their home PC, or from a business with 1,000 laptops needing the software. In addition, B2B keywords are often much more competitive and expensive than B2C keywords. CPCs of $20-30 are common, with $50-$100 not unheard of. Businesses, therefore, need to be laser-focused with PPC targeting. That’s why audience targeting is so important for lead generation. Audience targeting really started with paid social. In the early days of paid social, ads on social platforms like Facebook and LinkedIn were targeted by audience. 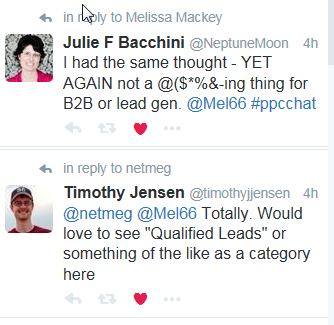 The challenge with social PPC in the early days was that it lacked intent. We knew we were targeting the right people, but we didn’t know if they were in the market for our product. Search PPC, on the other hand, offered clear intent – but no idea who was doing the searching. Google began to change the game in 2010 when they launched remarketing: a way to target people via the Google Display Network who’d previously visited your site. While remarketing is more targeted than regular Google Display ads, it still lacks the intent of search. Then, two years ago, Google changed the game with the launch of Remarketing Lists for Search Ads (RLSA). RLSA combines the power of audience targeting with the power of search intent. Advertisers can serve one search ad to users who’ve never visited their website and another to users who have. We’ll go into more detail on RLSA later in the post. Paid search has been so successful for a reason. Search is a deliberate activity. People don’t hang out on search engines all day – they go there with a specific task or question in mind. They’re telling us what they need, and as advertisers it’s our job to answer. With search, unlike social, the users tell us what they are looking for. If a user searches for “where can I buy,” they’re ready to purchase. If you’re Cards Against Humanity, the post office, a dry ice vendor, or a drone seller, wouldn’t you want a targeted ad for your product to appear on these searches? This is the sweet spot for paid search: the ability to use keywords to serve ads at the precise moment a user raises their hand. It’s why so many advertisers love paid search. Ecommerce PPC is fairly straightforward – the advertiser’s job is simply to answer the “where can I buy” question. But for lead generation, many search queries aren’t clear. The search engine result has everything but the kitchen sink. There are ads for programmers: Microsoft Azure and Nektra. There are shopping results that are clearly geared toward consumers buying one instance of Windows. And there are ads from Softmart and Office Depot that clearly are geared to B2B. It’s easy to see the challenge for both users and advertisers on an ambiguous query like “Windows software.” Users have to wade through ads that may not be intended for them. And advertisers have to compete with other advertisers who are targeting a totally different audience. Paid social is, in many ways, the opposite of paid search. We know exactly who the user is: their age, where they live and work, their job title, their interests, and so much more. We tell social channels everything about ourselves, and most of that info can be used to target ads. The audience picture is clear. And people hang out on social media all day, even B2B buyers. Facebook, Twitter, LinkedIn, Instagram, and other social engines are online gathering places for friends and business associates. Search engines are like a gas station – a place you go for a specific task, and leave as soon as the task is complete. Social media is more like the bar Cheers, where all your friends hang out and everybody knows your name. You hang out for a long time and come back frequently. It’s easy to see how specific advertisers can get with paid social targeting. The challenges with paid social are the opposite of paid search. It’s great to know exactly who the users are. But as an advertiser, you don’t know their intent, or if they’re even in the market for your product. The lack of intent can lead to frustration for advertisers who may get lots of traffic on their paid social ads, but few conversions. So what’s an advertiser to do? Are we relegated to choosing between dealing with audience ambiguity in search, or lack of intent in social? This is where custom audiences come in. Wouldn’t it be great to combine the power of audience targeting with the power of search? Wouldn’t it be great to narrow down a paid social audience to previous customers or people who’ve interacted with your website before? Both of these tactics are possible, thanks to audience-based marketing. Audience-based marketing is exactly what it sounds like: targeting a specific audience with your marketing. Layering audiences onto paid search and paid social helps target the right people and drive ROI. 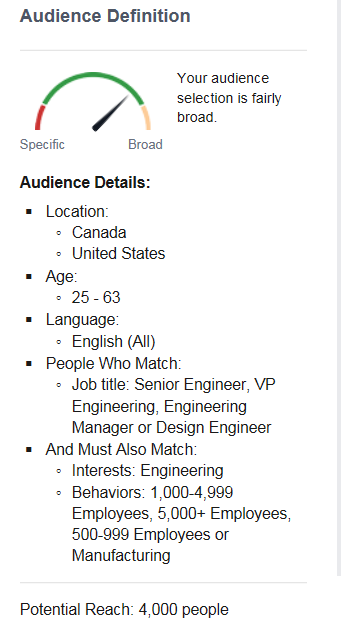 About 3 years ago, Facebook launched Custom Audiences, a feature that allows advertisers to create a Facebook audience from phone numbers, email addresses, or Facebook user IDs. Custom audiences were a boon for B2B advertisers for whom Facebook’s traditional targeting options left them wanting. Instead of trying to guess about their audience’s interests, B2B advertisers could now upload a list of prospect emails or phone numbers, and use that as their audience. Twitter soon followed suit with Tailored Audiences, which allows advertisers to create lists based on Twitter handles, email addresses, web visitors (via a website tag), or mobile app users. One of the best ways for B2B advertisers to find success on Twitter is to target users in their field. Many businesses and business influencers are heavy Twitter users, and advertisers can target these users and their followers. For expanded reach, advertisers can choose the “also target users like your followers” option. What about search? In 2015, Google launched Custom Audiences, a feature that allows advertisers to upload a list of emails to use as an audience for remarketing or RLSA. Custom audiences solve the problem of ambiguous searches by only serving ads to a known audience: existing customers, for example, or a list of sales prospects who’ve signed up for your emails. Custom audiences will take B2B search marketing to the next level. Which Option Is Right For My Business? Your individual business goals will help you determine which tactics are right for you. Does your audience tend to hang out on social media like Facebook or Twitter? Or do they eschew social media and stick to search? The size of your audience is also a factor. Most search and social engines require a minimum audience of 1,000 users, so if you don’t have that many email addresses on file, you won’t be able to take advantage of custom audiences or customer match. If that’s the case, you may want to try other tactics to start building your email list so you can use customer match in the future. Cost is also a factor in determining what will be most effective. CPCs for B2B keywords on Google and Bing are often in the $20-30+ range. Can you afford to pay $30 for every click? Social CPCs are much lower, but even within paid social, CPCs vary across engines. 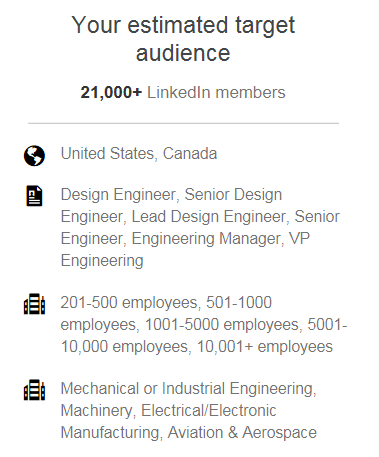 While LinkedIn is known for reaching a B2B audience, CPCs there are in the $7-8 range – and they’re even higher if you want to target C-level executives. Remember, conversion rates on paid social are often significantly lower than on paid search (unless you’re using custom audiences), so you may find worse ROI from LinkedIn than from paid search. CPCs on Facebook and Twitter are lower, in the $1-2 range. Depending on your audience and your business goals, Facebook and Twitter can drive a high volume of qualified traffic. As with all things paid search, testing and measuring is critical. 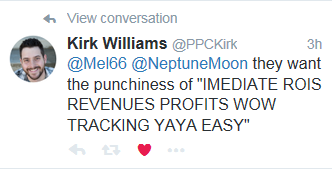 Try various channels and tactics and measure like crazy to find the pockets that are working for your business. There are more targeting options for B2B lead generation advertisers than ever before. With careful planning and the use of tactics like custom audiences and customer match, B2B advertisers can find laser-focused lead generation from paid search and paid social. Editor’s Note: This post originally appeared on the Acquisio Blog on April 5, 2016. One of the great things about PPC is it can be used for nearly every business: those selling products online via ecommerce, and those trying to drive leads. Each type of marketing has its own challenges. Here are 5 challenges for lead generation PPC. When people talk about PPC, they often talk about shopping carts, shopping feeds, revenue per sale, and other aspects of ecommerce PPC. These facets are crucial for ecommerce PPC advertisers to understand – and none of them apply to lead generation. When you’re driving leads, there is no shopping cart. Sure, there are lead forms, but it’s a one-step process. Cart abandons just don’t happen. (You can have form abandons, but that’s not the same thing.) Revenue per sale doesn’t exist either, because you’re not driving sales online. Of course, lead generation PPC advertisers can and should still focus on metrics like conversion rate and cost per conversion, and back-end metrics like lead-to-close (more on that in a minute). But sometimes it feels as though we’re speaking a different language than that of ecommerce. Successful online stores have tons of landing pages that are already optimized for conversion. When an ecommerce site is ready to start PPC, they usually have many pages that can be used, as is, as landing pages. Not so for lead generation PPC. Sure, some sites have well-designed landing pages and contact forms, but a surprising number do not. Often, a lead generation PPC launch is delayed while the advertiser creates a landing page that can actually generate a lead. And that’s just one page. Creating multiple landing pages can be a mammoth undertaking for lead gen advertisers. But even the most complex lead tracking system won’t display data in your Adwords or Bing Ads account. You’ll only see the initial form fills (and possibly calls) in your account. You might have a PPC campaign that’s generating lots of initial leads, but few sales – in which case, you should de-prioritize it, not bid it higher as you’d be tempted to do by looking at the initial lead data. That means that tools like Conversion Optimizer and other bid algorithms are potentially optimizing for the wrong thing. Even if you do get data from your client or boss on what keywords or campaigns ultimately drove sales, it’s usually a manual process to tie that back to the original data and calculate your lead-to-close percentage and cost. It’s not impossible – and it’s important to do – but it’s a challenge for nearly every PPC lead generation advertiser. Recently, I wrote a post titled 3 Signs That Google Hates B2B Advertisers. The gist of the post is that, as I alluded to earlier, many of Google’s features are geared toward ecommerce rather than lead generation. The same is true for Bing, and even Facebook and Twitter, although the social engines have quite a few features for lead generation. So how do you overcome these challenges? Certainly it doesn’t make sense to abandon PPC, as it can be the largest source of qualified leads for advertisers. Really, you just need to understand all the features and functions, and use them appropriately. There are some features you won’t be able to take advantage of, but that’s ok.
All the best practices of PPC still apply: understand your goals, test, test, and test again; create good campaign structure, and understand your buyer journey. Try to get data from your client on how leads are progressing through the cycle. Optimize your landing pages. And ignore the new stuff that Google introduces for ecommerce advertisers. I actually enjoy the challenge of generating leads in PPC. Nothing is more rewarding than seeing a client’s lead volume increase so much that they tell you to pause PPC while they catch up! What about you? Have you run into challenges with lead generation PPC? How have you overcome them? Share in the comments!